An inspiration and an icon. 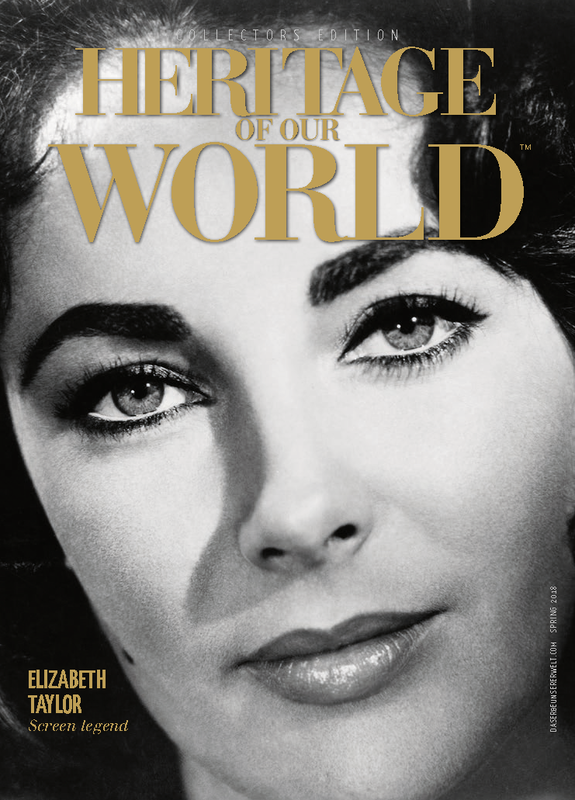 The English digital edition of Das Erbe unserer Welt contains stunning photographs of Elizabeth Taylor and reflects her extraordinary life as a superstar and humanitarian, not forgetting her passion for jewellery. The foreword, by Sir Elton John, remembers ‘this unique woman, with her wonderful sense of humour, her big heart and fierce commitment’. She defined modern celebrity and continues to captivate and inspire the worlds of fashion, film and philanthropy. ‘Feminist’ and ‘trailblazer’ are apt descriptions..
‘Cleopatra’ marked a milestone in the film industry, with the first 1$ million fee paid to a woman. Three Oscars were awarded during her career and she was the first celebrity to launch a fragrance brand. Elizabeth Taylor leaves an important legacy. She used her celebrity status to support people affected by the AIDS epidemic, and founded the Elizabeth Taylor Aids Foundation. Her consideration for others, in a less fortunate position, will always be remembered. The prestigious digital edition was officially launched on 1 December 2018, World Aids Day, in conjunction with House of Taylor, the lifestyle brand company launched by the actress herself in 2003. Click below to view the Elizabeth Taylor edition.